#106. El Capitan in a Gathering Storm. 21.5 x 31, oil on canvas, relined. "Gilbert Munger 1876" lower right. Looking east from the valley floor along the Merced River. At Kennedy Galleries, NYC, in 1987. In the Grupp Archive, Sunnyvale CA, in 1999. 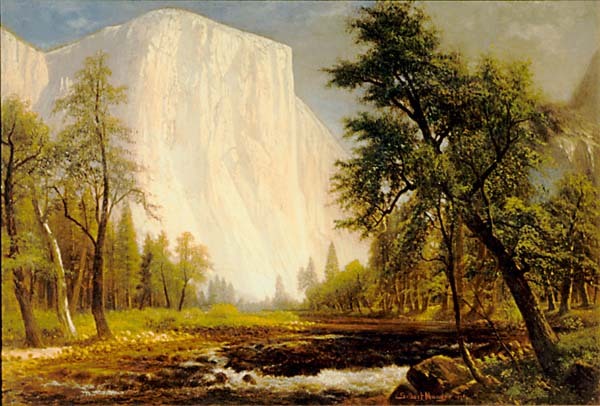 Offered at the Bonhams California and Western Paintings auction of 11 April 2017, lot 6, with an estimate of $40,000 to $60,000; did not sell. Subsequently offered by William A. Karges Fine Art of Carmel CA. 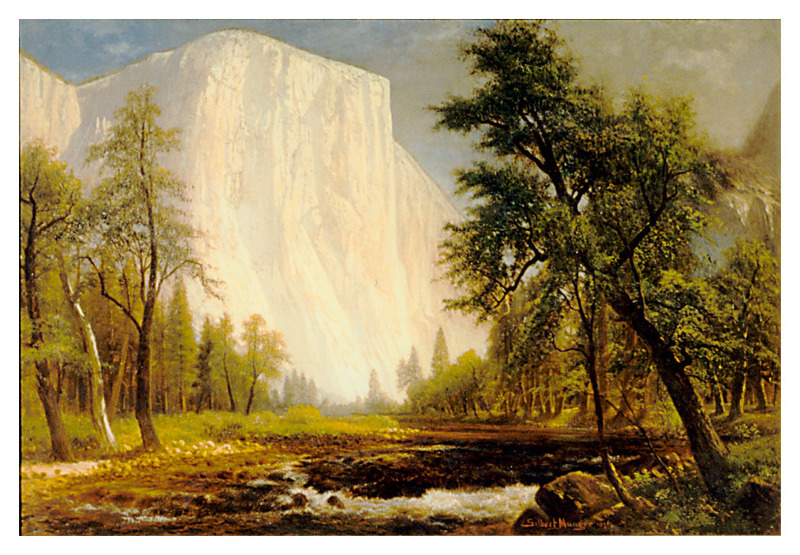 The same pale white treatment of El Capitan appears in paintings #185 and #200. Image from author's photo.